The Rockland High School Theater Guild will be setting up stage for the High School Festival Preliminaries at Joseph Case High School in Swansea on March 1, 2014 at 5:30 pm. Last year the RHS Theater Guild entered the competition sponsored by the Massachusetts Educational Theater Guild for the first time since the 90’s with the play “Lets Get Angsty” which was written and directed by former RHS student Joe Palana. With the experience of last year the RHS Theater Guild hopes to push past the perliminaries phase and go onto the Semi-Final Round which would take place on March 15th. Mrs. Armstrong, RHS Theater Guild advisor explained the value of last year’s experience. “We learned a bunch and are better off this year,” she said. Mrs. Armstrong explained that this year RHS will be performing four scenes from Almost Maine, one of last year’s Theater Guild productions. She said, “I am hoping to do well, but the point is to learn and have fun.” She also explained that she hopes the students will take away a sense of camaraderie, the skills of teamwork, and self pride” because the scenes are completely student driven. The scenes will include: “Sad and Glad,” directed by Pearse McNally with Chris Catania, Ella Engle and Leah DeCecco; “This Hurts,” directed by Chris Catania with Sean Vo and Jace Williams; “They Fell” directed by PJ Butler with Pearse McNally and Markus Rohwetter and “Story of Hope,” directed by Nicole Cook with PJ Butler and Lauren Illes. Tickets will be available at the door of Joseph Case High School in Swansea for $10. Break a leg! 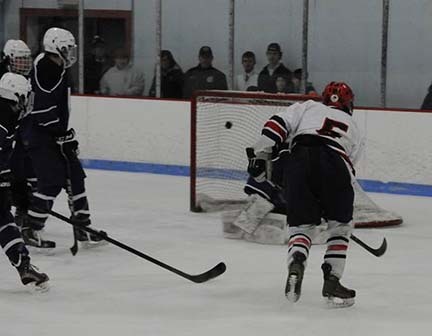 The hockey team won their first tournament game 6-1 against Bourne at the Rockland Rink on Tuesday night. Shawn Kane scored 5 of the goals followed by Shane Murray with the final goal. 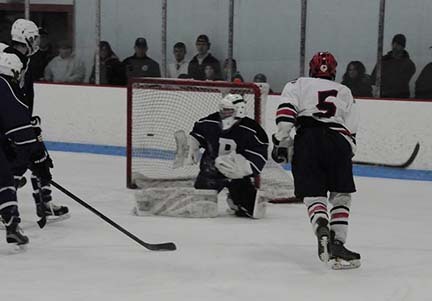 Tim Daggett assisted on two of the goals. Now with a great start into the tournament, they will play Diman Regional from Fall River on Sunday March 2nd at Bourne at 4:45 pm. Click on this link to get the MIAA pairings. At the recent basketball all-star meetings, the coaches of the girls and boys basketball teams in the South Shore League chose two Rockland High School players as Players of the Year! Congratulations to Kyra Rose and to Matt Nicholson. Both Matt and Kyra will be leading their teams into the Division 3 South tournaments starting tonight with the boys and tomorrow with the girls at home. Both games begin at 6:30. 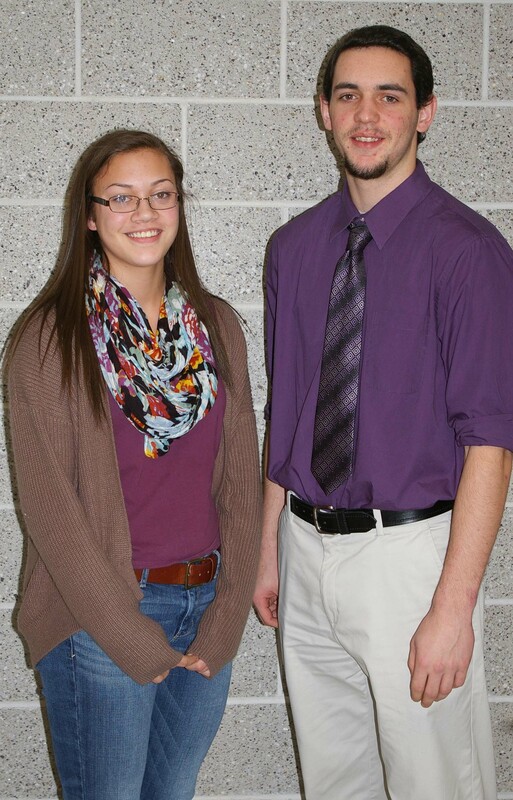 Basketball players, Kyra Rose and Matt Nicholson were selected as Players of the Year in the South Shore League. Registration for an SAT prep class is available for juniors at RHS who will be taking the SAT’s this spring. The deadline to sign up for the eight week class is this Friday, Feb. 28. Click on this link to read Dr. Cron’s letter to students, parents and guardians about this course offered at RHS. Last week the boys basketball team held its annual Senior Night before their game with East Bridgewater. The senior players and the senior cheerleaders were recognized for their dedication to RHS! Photos by Kelley Reale. Matt Nicholson with his mom and dad. Luke Quersher with his mom and brother. 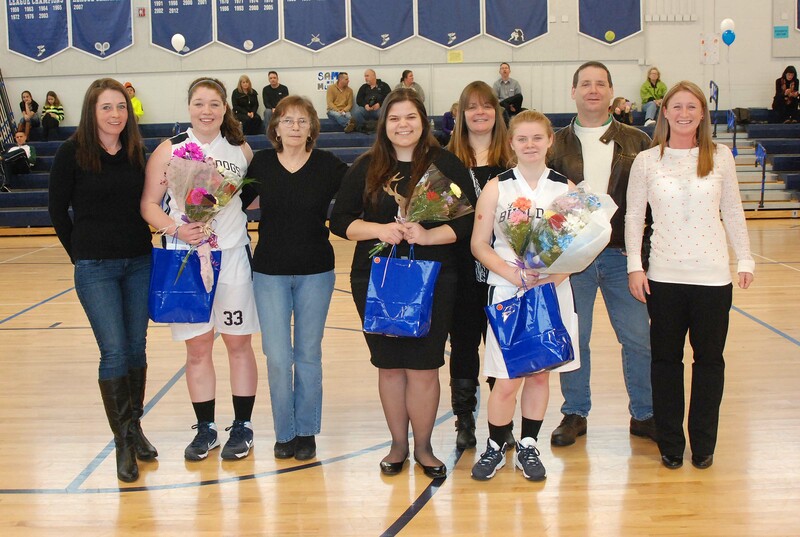 At Wednesday’s final regular season home game the senior members of the girls basketball team were recognized. They include Ally Cerrato, a four year varsity player, Sami Murray, a four year member of the program and Georgia Panagiotidis, manager of the team this year. Congratulations to these senior girls basketball players. Senior Ally Cerrato (left) with her mom and grandmother, Georgia Panagiotidis (center) and Sami Murray with her mother and father were recognized by Coach Diana Mitchell at the girls last regular season home game. 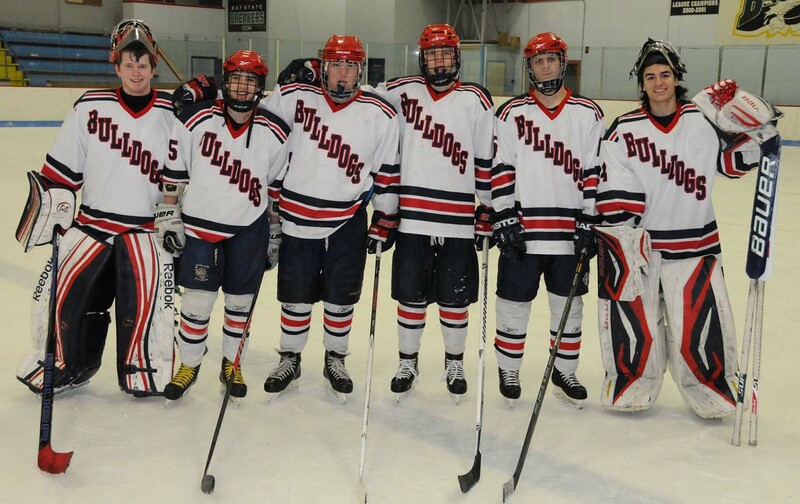 Congratulations to the senior hockey players who played their last regular season hockey game yesterday and beat Mashpee 10-0. Wow! !